Select Size RSBD-LD, 24" X 48" X 1/2" RSBD-LD, 24" X 48" X 1"
Luminar Low Density Fusing Sheets (ZRCI RS-BD) are rigid, high temperature ceramic bodies. They feature excellent insulating performance, good high temperature strength and can be custom designed for a broad range of uses. They are rated for use up to 1260°C (2300°F). These low density boards are ideal for light weight kiln furniture and other kiln insulating needs. 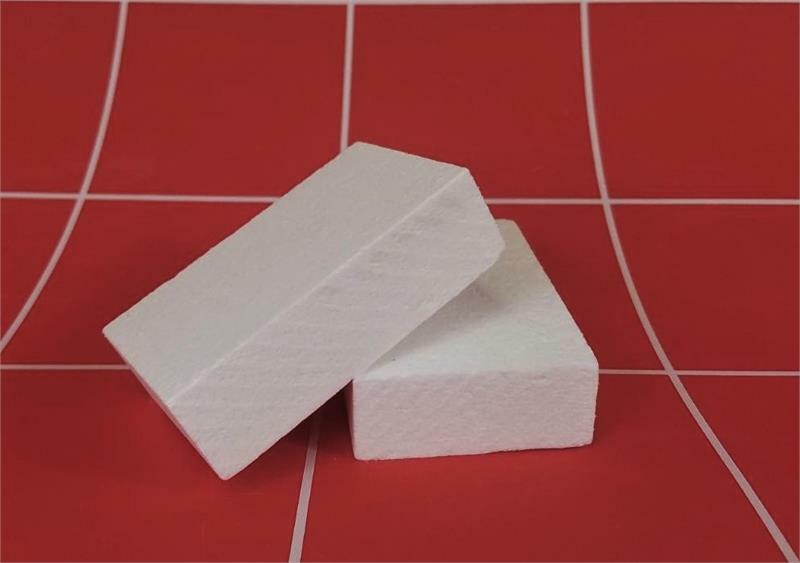 They are manufactured using Alumina and Alumina Silica fibers and high temperature inorganic binders. Luminar Low Density Fusing Boards are manufactured with a small amount of additional organic binder which is added to the board formulation for increased handling strength. Where present, the organic binder will burn out at temperatures between 232°C (450°F) to 316°C (600°F) during initial heat up by the end user. Following burnout the boards are white in color. These materials are fabricated as true composites. The homogeneous microstructure and consistent binder distribution allow this material to be machined to tight exacting tolerances with ordinary shop tools and equipment. Their superior machinability and dimensional stability plus low heat capacity make them ideal for use as setters, supports and process fixtures in both continuous and batch firing furnaces.